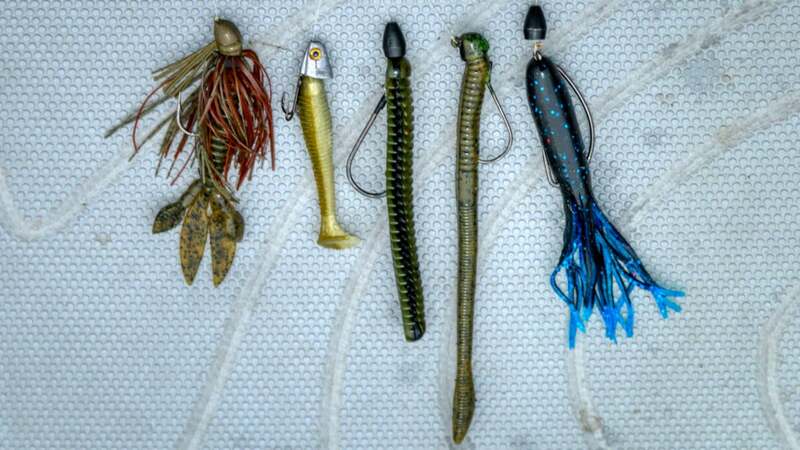 Growing up on the Ohio River’s shallow, muddy waters taught Bill Lowen the value of a selecting the right lures to fish tough conditions. This insight has helped him assemble a lineup that he feels can keep him competitive anywhere in the country. “The biggest thing my early years taught me was to pay close attention to the details to put together a pattern because you didn’t get many bites,” Lowen said. “This taught me to decipher the behavior of the fish based on very little information and capitalize on it. To that point, Lowen offers valuable insight. If the fish is choking the bait you have definite feeding aggression and/or a bait profile they really dig. Conversely, fish hooked in the very edge of the mouth, or outside the mouth are simply swatting at the bait — a clear sign of marginal interest. Through a demanding process of trial-and-error, Lowen has leveraged his hard-earned perspective to assemble an arsenal that works on many diverse and challenging fisheries. He narrowed it down to 5 ways to present soft plastic lures in various manners to coax pressured or otherwise temperamental bass into biting. A 3 1/2-inch Strike King KVD Pro Model or a 4 1/2-inch Denny Brauer Flip-N-Tube rigged with a 3/16- or 1/4-ounce weight offers Lowen two distinct benefits. 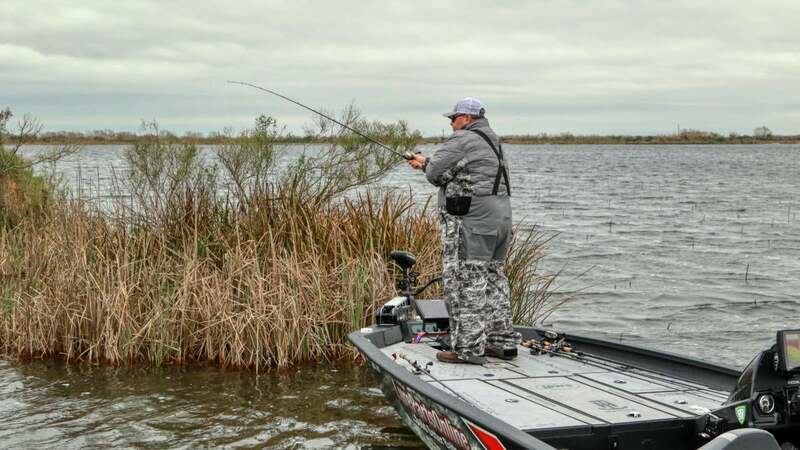 "I feel like I can trigger a reaction bite with that bait because I can make short snaps with it; not necessarily swimming it along or hopping it along," Lowen said. "That bait is really erratic because that weight wants to separate from that bait so I can make that tube dart or dive and do things that, traditionally, a soft plastic doesn't do. "Also, a lot of guys don't use a tube anymore, so it's one of those baits that they fish don't see as often. Anytime I can use a bait that I feel (is not commonly used), that's a plus. There's never an event where I don't have a tube tied on. It's just one of those baits I have a lot of confidence in. If I was told I could only have one bait the rest of my career, that's what it would be." A 6-inch Strike King finesse worm on a 1/4-ounce head is a straight-up bite getter with broad applicability. Lowen's top presentation — dead sticking. "I can shake that bait without moving it to get a little tail quiver, almost like fishing a dropshot," he said. 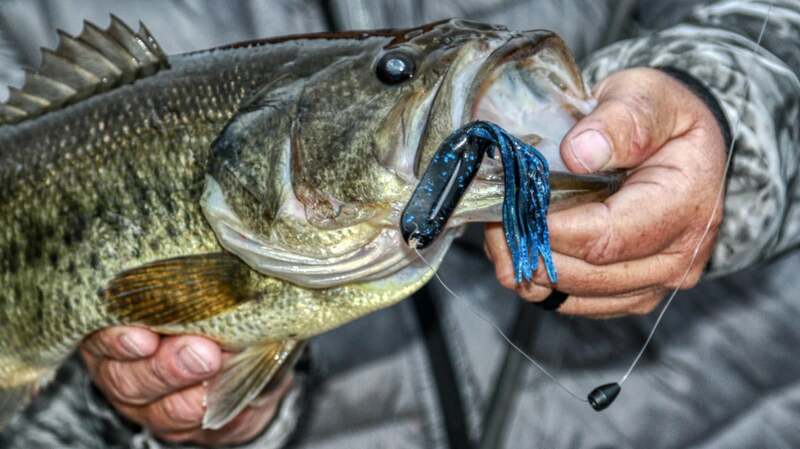 "You can leave that bait in place for a long period of time and keep it in the strike zone and maybe force a fish to bite. He may not be going to bite, but if you aggravate him enough, chances are pretty good you can get him to bite." At first blush, a 2.75-inch Strike Rage Swimmer on a lead head sounds pretty vanilla, but Lowen's rigging bears strategic benefit. After running his line through a Lure Parts Online Slip Shad head, he ties on a No. 6 or 8 Hyabusa treble hook and pins one point in the bait's back. 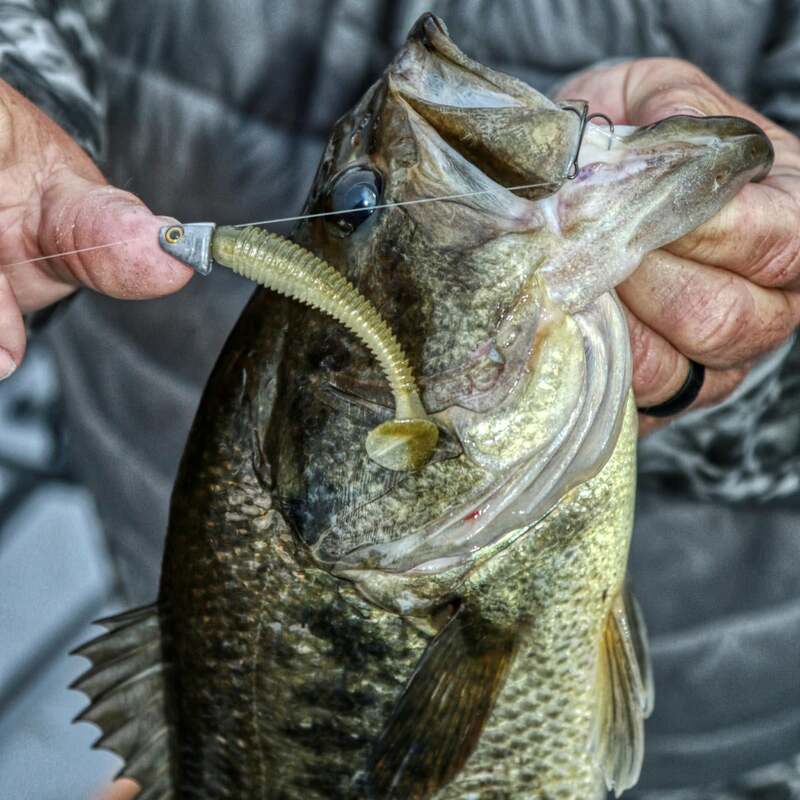 Line tension keeps the bait snugged against the head, but when he hooks a bass, the bait and head separate so the fish has no leverage to throw the hook. Also, with no hook shank inside the body, his swimbait displays maximum motion. This old school bait more commonly appears on the end of a Carolina rig or a split shot rig, but Lowen Texas rigs Strike King's Supa Fry and flips it into light cover. "It's a very subtle finesse presentation that kind of swims through the water, but with those ribs, it has a lot of water displacement," Lowen said. "I would compare it to the displacement of a 1/2-ounce jig, but it's a finesse presentation bait. The fish know the bait's there because they can feel the water displacement, but when they see it, the bait looks like a little morsel — an easy mouthful." In high-pressure situations, Lowen finds his signature series 5/16-ounce jig from Lure Parts Online rigged with a Strike King Baby Rodent offers an ideal compact form that skips like a smooth rock and get those tough-day bites. "This jig has a stout Mustad UltraPoint hook, so even though it's a finesse jig, I'm not, necessarily finesse fishing with it," he said. "I throw it on a 7-6 flipping rod with 17-pound line and I give it to 'em when I set the hook." The smaller trailer, Lowen said, gives the jig a fast fall that works well for targeted presentations. 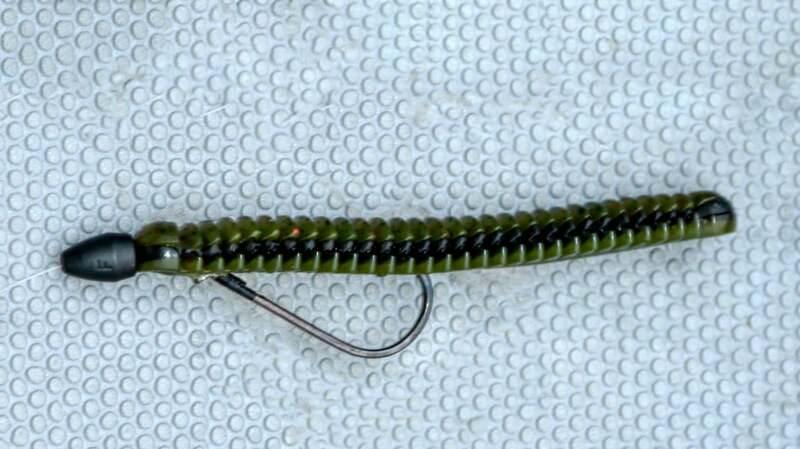 As with each bait in his tough-bite arsenal, this tight little package has one goal — trigger a reaction bite. Just like back home on the Ohio. 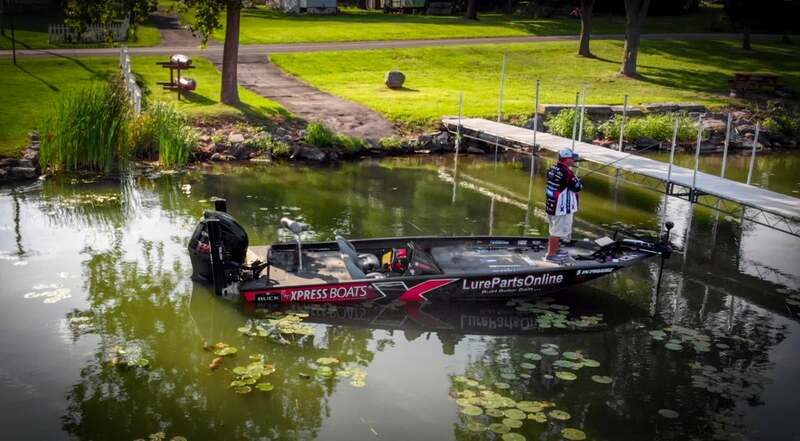 Watch Lowen use his finesse jig to go to work on the bass during a recent Bassmaster event.